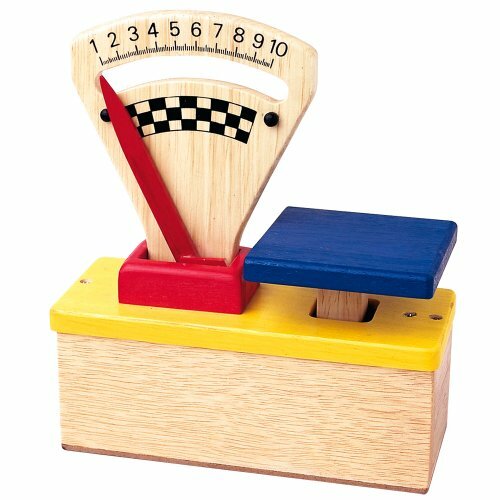 Introduce the concept of weight with these fun and colourful wooden Scales from Santoys, that are sure to fascinate little ones as they discover how much different items weigh. Are the bananas heavier than the tomatoes Are the aubergines lighter than the grapes Encourages creative and imaginative role play. A great addition to any wooden play kitchen or shop. Conforms to current European safety standards. Age 3+ years. Height: 210mm, Width: 180mm.